Seat availability will be limited so bring a chair to ensure you have a seat. Dress warm, their warehouse is minimally heated. Sustainable NW Wood is going all out and will be providing some wine, beer and snacks! 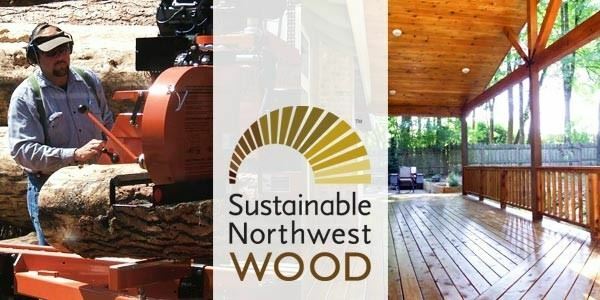 Sustainable NW - A wonderful local resource for wood, Sustainable NW has graciously offered to host our February meeting at their facility. Regardless if you have or have not been to Sustainable NW before, this is a meeting that you will not want to miss. In addition to a tour of their operation, Sustainable NW will be discussing what it is that they offer the local woodworking community. Epilogue - Also, within the same building as Sustainable NW is another organization named Epilogue LLC. Epilogue is of of Sustainable NW's suppliers of slabs. Their focus is centered around recycling damaged urban city trees and transforming them into viable woodworking materials rather than firewood. The owner of Epilogue, Dave Barmon, will be giving a presentation on not only using existing urban lumber for woodworking, but planning for future harvesting in an urban environment. Background - Sustainable Northwest Wood was founded in 2008 as a for-profit subsidiary of the non-profit organization Sustainable Northwest. Sustainable Northwest works throughout the Pacific Northwest to forge collaborative solutions that restore forests, rivers, rangelands, and rural economies. Their profits return to Sustainable Northwest and support their work. Guild Meeting - The meeting will be held on Tuesday, February 19th. Social time begins at 6:00 with the official meeting beginning at 7:00. New member orientation will meet at 6:30-6:45. The board meeting will be held at 5:30-6:30 also at Sustainable, all are welcome to attend. See you all at the next meeting! There will be some seating available, but if you can, bring a chair for yourself. Sustainable also has offered to provide some light snacks for our meeting. They are very excited to host our group.